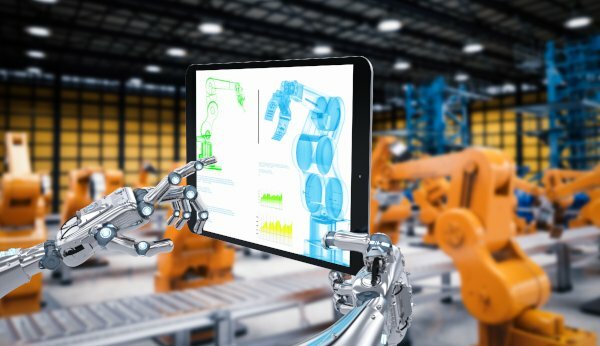 The fourth industrial revolution is well underway and as state-of-the-art technology drops in price, many more industries are benefiting from smart factories. Article by Nick Boughton, Sales Manager, Leading Systems Integrator, Boulting Technology. As a recent PricewaterhouseCoopers survey found 72 percent of companies expect to achieve advanced levels of digitisation by 2020, the reach of these technologies is only set to increase. In November, the UK Government announced that 2018 would be the year of engineering. This coupled with the launch of the government’s “Industrial Strategy” and “Made Smarter Review” has signalled a major vote of confidence in the sector as it pledges to help make the UK a world leader in the fourth industrial revolution by 2030. Virtual reality (VR), which digitally simulates a product or environment and augmented reality (AR), where the digital product or information is projected onto a real-world background, have traditionally been consumer-focused applications, aimed mostly at gamers. Virtual reality will become prominent during the design of a facility and it could even have applications for building information modelling. Inputting computer aided design files into a VR application can allow the designer, engineer and client move around the product and facility, viewing it under a different light without the need to produce expensive prototypes. VR also has the potential to revolutionise training, particularly when working in hazardous environments. Engineers can explore and manage a range of scenarios without any risk to themselves or equipment. For example, when combined with remote monitoring and dashboard user interfaces, the status of a drive or motor control centre can be visualised next to the system in question. This type of technology is already being employed by companies with multiple sites, allowing for the comparison of key performance indicators between plants, learning from one-another to improve process efficiency and asset lifespan. Machine learning is a concept that has been around for decades, where the computer does not rely on rule-based programming, but instead operates using algorithms that can adapt and learn from data. Closely related to this is artificial intelligence (AI), a branch of computer science aiming to build machines capable of intelligent behaviour. One of the major benefits of AI is advanced data analysis, where data is collected, stored and analysed automatically. The introduction of Industry 4.0 technologies has left no stone or industry untouched over the past few years, particularly given recent price drops. The year 2018 is shaping up to be the year where new and exciting technologies such as VR and AI make their way onto the plant floor, making it truly a factory of the future.